CareDash is committed to providing transparency for patients seeking quality information about healthcare providers. As the fastest growing doctor ratings and reviews website, this makes CareDash a place where you and your practice want to be seen – and look great too – when it happens. Remember, more and more, first impressions online are happening on websites other than yours. In today’s blog, we’ll be covering what it takes to fill out, enhance, and standout amongst your peers CareDash profile. Let’s start with the first step – logging into the CareDash Dashboard. In a previous blog, we covered how you can go about claiming your CareDash profile. But, once that’s done – the real work begins. 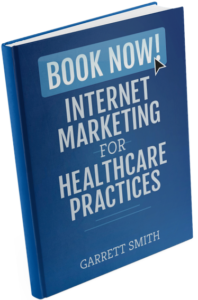 Just like you wouldn’t want your front desk staff to simply say “This is an okay office,” you don’t want your CareDash profile effectively saying the same thing to prospective patients online. By putting in all the right information, uploading great photos, and soliciting reviews from your patients, you’ll be able to tell prospective patients online that you’re the best in your area. Once you’ve signed in, the first place you’ll start is your dashboard. For doctors and practice managers alike, this is the area you’ll use to monitor any and all CareDash profiles that you’ve claimed. For some, this may just be one practice or provider profile. For others, there may be numerous profiles under both tabs that must be managed. To start, find the profile you’ve claimed under the “Claimed Providers” or “Claimed Practices” tab. We always recommend that you audit your existing profile first. You can do this by clicking “View Profile” and seeing what information is currently on the profile. For many doctors who are first claiming their profile, frequent changes that are made include updating the image available and adding more information regarding their mission and values, history, and available technology. If there’s something that you’d like to expand upon, or information that must be corrected, please take note of these points. Having a list will make it easier to address necessary changes while you’re actively editing the profile. Like many profile-based websites, CareDash makes it easy and intuitive for doctors and practice managers to update the information that patients can view on each profile. Once you’re on the next screen, which is the editing portal, you’ll be able to view the backend of your profile. All of the sections will be available to edit and expand upon. CareDash prides itself on giving patients all the information they’d need to make an informed decision about their healthcare. Your profile is broken down into seven sections within CareDash’s profile editor. These sections are: basic, about, social links, profile picture, photo gallery, hours, and manage providers. You may notice that many sections are blank and only contain the grayed-out sample text from CareDash. It’s a good practice to spend time to fill each of these sections out. Though patients could get by with just your basic information, learning about your practice on a deeper level could help sway them into making an appointment with you over the competition. In the “Basic” section of your profile, you’ll be inputting information about your practice’s location, the insurances you accept, and whether or not you’re accepting new patients. CareDash, focused on creating an inclusive platform, has also created a section specifically for LGBTQIA patients. Profiles who answer the questions in these sections can further differentiate themselves from the competition while providing vital information and services for underserved communities. Similarly, all profiles have the ability to include information about what insurances they accept and whether they are wheelchair accessible. To better connect you to patients, you’ll be able to link to your or your practice’s social media profiles. Although there are many areas where you can place information, this does not mean you need to link to every profile. Make sure that whatever you are linking to is work-appropriate. In this section, CareDash allows you to upload a great profile picture to show patients. Keep in mind that profiles that have pictures tend to get more clicks, so this is not something you want to skip. In addition to uploading a profile picture, you will also be able to upload photos of your practice to your CareDash profile. CareDash recommends that you upload at least three images to make the best of this feature. You can upload group photos, photos of the exterior and interior of the building, and even photos of any great technology. If you have more than one provider in your office, you can also upload images of them into this section. This section is a straightforward one that allows you to input practice hours. You can add multiple time frames from day to day. If you have a lunch break on Fridays, for example, you can add in two segments for that day: 8am-12pm and 1pm-5pm. Make sure that you update the hours listed on your profile immediately after a change occurs. By providing patients with the right information, especially about your availability, you’ll be able to get the most happy patients through your doors. The final section you can update information on in your CareDash profile is the “Manage Providers” tab. In many practices, there will be more than one provider available for patients to schedule an appointment with. This is the section where you can update who is listed on your practice’s profile so that potential patients can see. Once you’ve filled in and updated all of the information on your profile, congratulations! You now have a CareDash profile that can help patients connect with the quality care they deserve at your office. If you’d like more information about CareDash and how to improve your practice’s reputation online, please contact us.